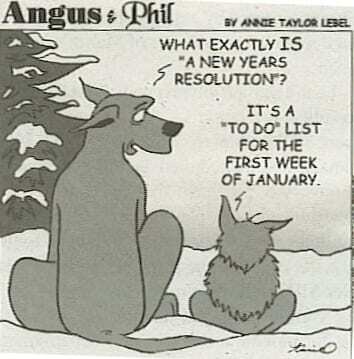 HG Logistics News How is your New Year’s Resolution going? Did you make a resolution to start 2016 on a great note? Maybe you wanted to stop smoking, exercise more, worry less, eat healthier, save up some money, spend more time with family. Whatever you had hoped to do, are you still working on it? This year I wanted to do some kind of exercise every day. At first, I thought that I could attempt to walk 1 mile every day. Although the weather was nice, when January 1 rolled around, it was just too cold to go outside. “I’ll make up for it by doing something extra tomorrow”, I told myself. January 2 came around and I was way too busy to be bothered with exercise…two days in and my resolution was already looking pretty bad. I had given up on the idea and written off my resolutions until yesterday. I listened to an interview with Dr. Randall Bell who discussed how making a very tiny commitment can lead to a good habit and much, much bigger results. So, as I drove and listened, I wondered how I could implement that idea to getting myself into shape. I decided that any time I had the chance to join in with my children while they were doing sports, I would. It made sense to me that if I was there and had no reason not to, it would probably not only help my exercise goal, but also my relationship with my kids if I jumped in. I was driving to pick them up from school when I made the commitment to myself. Later last night, we were waiting for basketball practice to start. All of my children, as well as some others and some parents were shooting baskets. My chance had arrived! Would I make the choice to stick to my resolution or make an excuse? I got up and dribbled a little and took a couple of shots. In just the two or three minutes that I was down there, I felt myself feeling better. I was happier, my children were playing with me and smiling and my body was receiving some work that it desperately needed! Success on day one, a far cry from my excuses at the beginning of the story…Dr. Randall had explained that promising the moon was just not realistic. Maybe making big promises is just too much to do. Promising the smaller things is manageable and leads to greater success. The business world can learn a lesson from Dr. Randall as well. In transportation, things that are beyond our control can make the day difficult. At HG Logistics LLC, a third party logistics company and transportation broker located in Cincinnati, Ohio, we make the small promises so that the big ones fall into place. We won’t promise you that it won’t snow or that your supplier will load all of the correct product. What we will promise is the small stuff. We promise to use great drivers. We promise open and honest communication and tracking while we are handling your business. We promise professionalism. We promise to bring you the service that you deserve and expect from a top-performing logistics provider. We have promised those small things for years. Those little commitments every day have lead to our success, and developed into great habits. HG Logistics can say that we are here to give you the best experience possible because instead of promising the moon, we promise all of the little things, we commit, practice good habits, and make things happen on a large scale because of that! If you are looking to start a new, small habit in the New Year to make your business run more smoothly and to reduce your stress at work, take a moment to contact the friendly experts at HG Logistics LLC to handle your freight needs! CALL HG Logistics LLC @ 877-574-4744!